People gather in structured, if informal, community groups for many reasons—social, such as a book club or softball league; economic, such as a team hosting a fundraiser for a member's medical expenses; or political, such as neighbors meeting to address flooding caused by poor infrastructure. But how does participating in such groups affect people's well-being or decisions to work for other community improvements? Level of political knowledge? 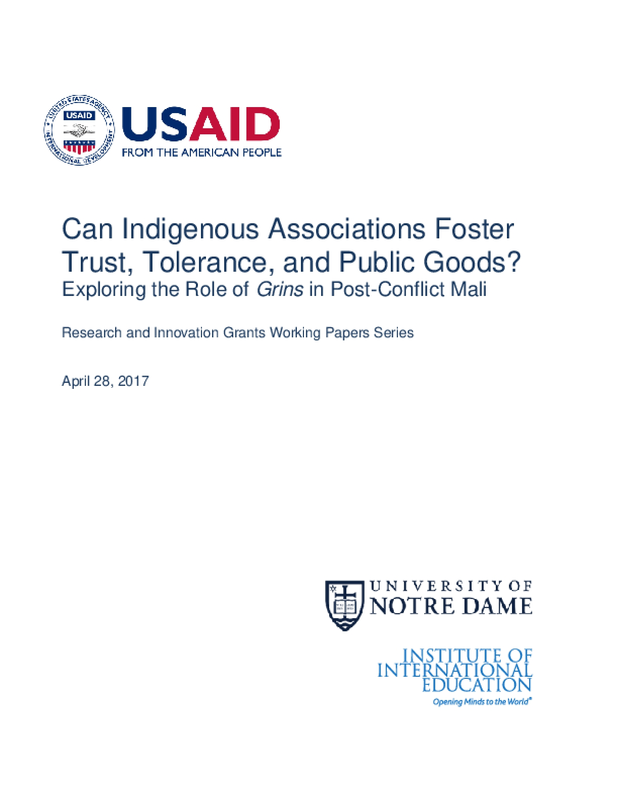 Level of trust toward group members, people in the broader community, or institutions such as the government? Or willingness to tolerate differences that are often at the root of conflict, such as ethnicity and religion? Grins' primary purpose is social, but the groups also help members meet economic needs and provide a venue for political discussion and community service, such as neighborhood cleanup.